Want to spread the word about Royal Revolution? Copy and paste any of the following codes into your shop/gallery description, petpages, userlookups or whatever you like to link back to us! Click here if you wish to become an affiliate. Always open. Scream at me if I left out your link. Sawrryy. Here for the review awards. Layout created by me, silvernonsense. All buttons made by me unless noted otherwise. All credit goes to respective fan artists. 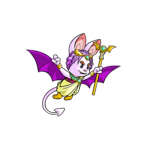 All neopets images are copyrighted by Neopets, Inc. 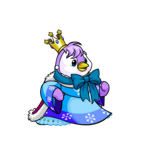 Thanks to beautiful_gurls_25 and amysmother8 who made gift buttons for Royal Revolution. Thanks to lolxnicolee for going through the whole directory and telling me which pets are frozen. 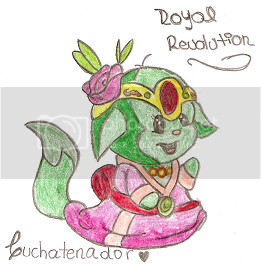 Thanks to sweetbellmaybe for making an extra special award for Royal Revolution. A big thanks to abby682089, Jayzara, Cuchatenador, Amysmother_8, _supertwink_, and lachtaube for their fan artwork contributions. 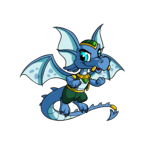 Seilyne the Draik, Aucelle the Kacheek, and and Xesnei the mynci, have all been added to the directory! Yay, yay, yay, yay, yay!!! 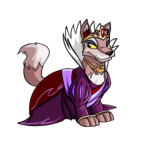 New Royals have been released, new royals, new royals! 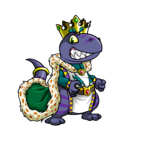 I proudly welcome Kikos, to the Royal family! 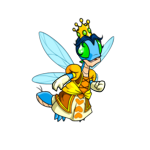 Any thoughts on our new royal friends? Their section has been added to the directory. And now affiliates with Blissful Boris! 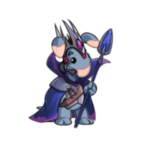 A huge bunch of pets have been added to the directory by the names of Iioan, dragon_Charanth, Merananth, Harper_Piemur, Heathclyff and Octavian_! 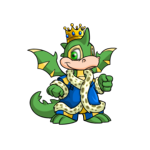 A lovely royal girl bruce by the name of Jayzil has been added to the directory. I went through and re-counted all the pets in the directory because I forgot to keep adding onto the count at the top. 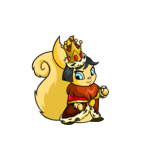 There are currently 258 pets in the directory/association of neopian royals! The admirable Daremny, a royalboy Uni, has just been added to the directory. 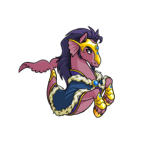 Ashhen the royal boy zafara has been added to the directory. 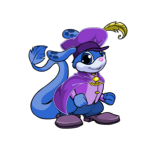 A handsome royal moehog, I_like_Moehog, has been inducted into the ANR. 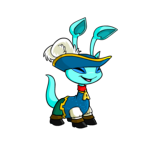 A handsome Wocky has also been added by the name of Kublei. Another royal uni has been added to the directory. 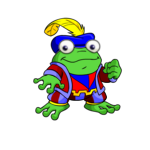 This fellas name is Trojen. 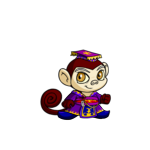 Now affiliates with the heroic and villainous pet directory, Neopian Supers. Tinkforever the lovely gelert has been added to the directory. And I found a codestone when posting this so, score! Two of our most respected royals have been turned into shopkeepers! 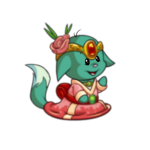 I feel like this site is being neglected but then again so is my entire neopets world. Sorry for that. 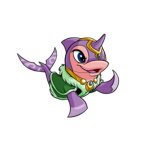 But, on a lighter note, Laeiti, the royal peophin, has been added to the directory. Is that a new hot dog I see? A new royal hot dog? 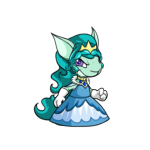 Two more royal unis have been added to the directory, Killianmi and Geizella. 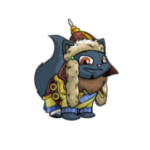 Kyelley the female zafara has been added to the directory. 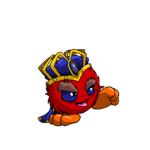 Two royally awesome new kacheeks have been added to the ANR, Noleth a male kacheek and Briaya a female. Another royal uni, Elarane, has been added to the directory. A new royal uni who goes by the name of Trovoc, has been added to the directory to become a member of the ANR. Rgarla the lovely female eyrie has become a part of the ANR. Became affiliates with California Day Reviews today and also received a review from them with a score of 100/100! Hooray! 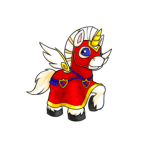 I made a new (and better) badge for those pets that belong to the Association of Neopian Royals. It is available above the directory. Costain, another awesome male uni, has become a part of the ANR. 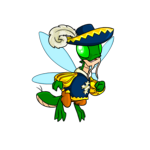 Today Crusadel, the awesome male uni, was added to the directory. 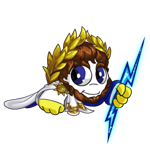 Made yet another new link back button today but this time with our glorious friend King Hagan on it. A little tribute to one of my favorite Kings. I made a navigation system for the directory which now links to all individual species. Yay, less scrolling! We are also now affiliates with the very helpful Penny Trading Guide. The Croaker became our affiliate today! Added NewOrder150991 the male shoyru to the directory. I made another new link back button today. 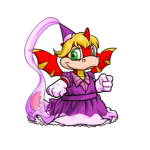 Added Vhictors the Royalboy Moehog, Vhiolets the Royalgirl Moehog, (first Moehogs in the directory!) 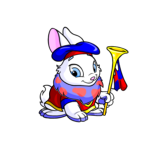 Bleone the Royalgirl Uni and x__loveable the Royalgirl Cybunny. Came back today from an amazing trip to NYC, so happy New Year and hooray for the first update of 2010!! 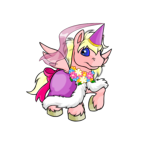 Today Aurorisela the Usul was added to the ANR and the Royal directory, yay. The font was out of whack so I fixed that. I also added "Return to the top" links to all sections of the page and "Return to the Directory" links to the directory. Hooray for easy navigation! Joustings the Royal Uni was added to the directory. 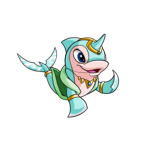 Added Cynnism the Peophin to the directory. I deleted all the dead sites in my affiliates and listers -- now both spots are sort of lacking so I'll be going around, getting some new affiliates and getting listed. 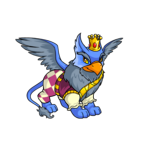 And I made three new Royal petpets, a warf, a mibblie a cirrus, oh my! 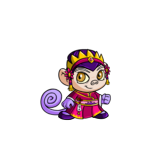 Added nala90_9 the Royal Kougra to the directory! And there have been some new plushies released today! 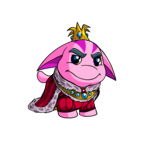 Add these new royal wocky plushies to your royal collection! 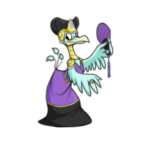 Today, I went through all the neopets news that I missed while I was on hiatus and found a few things that we royal obsessors can celebrate about! On October 6th, these cute plushies were released! 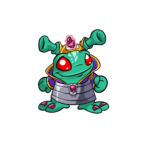 On September 23rd, a new royal image was released! I added this image to the site's image section. 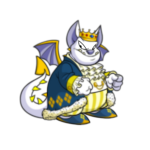 On September 9th, a pair of royal draik plushies were released! I made a new animated button and deleted a bunch of the ones I had up there before because they're not as good looking. I plan on making a few more in these next few days. A huge thank you to lolxnicolee who went through half the directory and helped me weed out all the frozen pets. I deleted 28 pets that no longer exist. 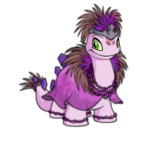 She was sent a plushie petpet paint brush for her help. I also added a Special Thanks section to the sidebar for people that help Royal Revolution out or go out of their way to contribute to the site. Added Maggie__23_ the Cybunny to the directory! I went on a pretty massive hiatus but I do believe I am back now. So yay! I cleaned up a few things that have gone array while I've been gone like broken links, images and etc. 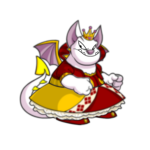 Also, Amalphius the Royal Lupe has been added to the directory! I went on a short 4 day vacation but returned today to find a few reviews, yay! 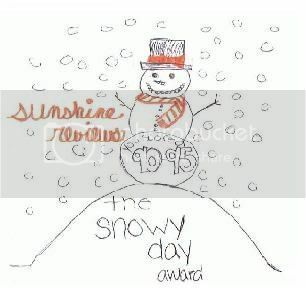 I got a 90/100 from Sunshine reviews and an award. 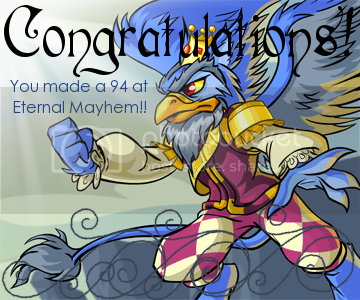 I got a 94/100 from Eternal Mayhem and an award. All gave me some awesome advice and within the next few days there will be a few tiny changes here and there to improve the site. Thanks reviewers! 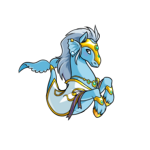 Also added Hivial the Peophin to the directory. 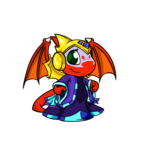 I also deleted the two buttons my friend Amy made for me because she has erased all of her images and left neo. Unfortunately I had to delete her site link as well because it shut down. Hit 300 page views today! 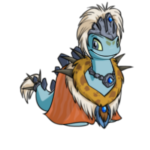 Added Serome, the Usul, to the directory. Back! I still can't guarentee any updates soon -- the site is practically complete, there's very little to add. It will, of course, stay up as a guide and directory but very few updates will be coming around. Thanks! Sorry for so few updates but my second site is up and running. You can find the link under my affiliates. I will also be leaving on a vacation lasting little over a week by tonight so if you contact me, don't expect a quick reply. See you all soon! Now affiliates with The Booklet and The Goodie Box. 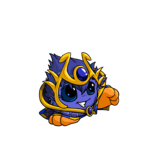 I've decided to make another site (we'll see if it takes off or not) so if I start totally neglecting Royal Rev... sorry. I'll try to keep updates coming regularly though and perhaps a few more renovations. I made five new buttons and got rid of two old ones. 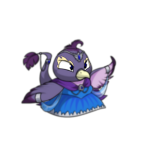 Amysmother_8 also gave two buttons to Royal Rev. Yayy, I love presents! 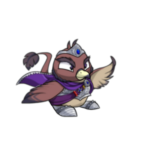 A new images section has been added! 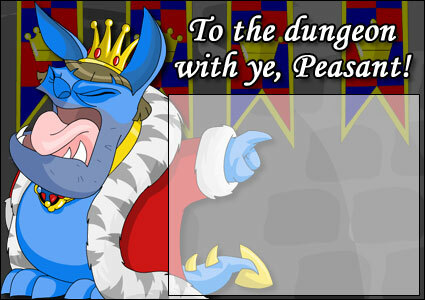 Royal blogs, full screens and animations are listed there so be sure to check it out. I also cleaned up the affiliate section, it seems a lot of my former affiliates' sites have disappeared so I'll need to get crackin' on adding some more. Wow, I already finished the new layout! Bask in it's cleaner, easier to see, easier to navigate beauty! More renovations are still to come! Right now I'm mainly working on getting Royal Rev listed, advertised and reviewed. I decided to make some more buttons since people keep getting at me to make them the correct size. So now there are a bunch of 88x31 size buttons for your convenience. 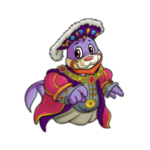 I've been busy and sort of neglecting Royal-Rev, but I've finally gone through and changed back all the missing images in the directory. 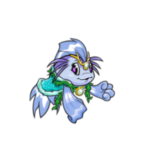 We can finally see the current pet poses again! Yippee! 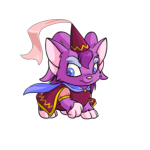 Currently, there seem to be a few glitches with pet images and neopets is undergoing several changes meaning there are LOTS of pets in the directory that have no pictures. Whether I will have to go through and change each of these images back individually or if the issue will be fixed by neo, I'm not sure yet, so bear with me in the meantime. The location of Royal Revolution has moved! 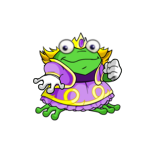 If you have any links locating Royal Revolution to ~zhulen, please replace those with ~duke_of_gydo. Thanks! 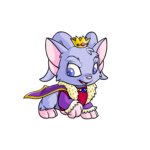 Tydonin is the first royal neopet to be admitted into the Association of Neopian Royals! The Royal Revolution is born! 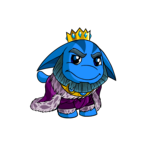 Still to grow, expand and increase, Royal Revolution has begun its journey towards a fully functional neosite! 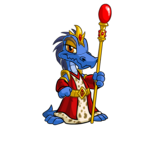 Welcome to The Royal Revolution, a sincere dedication, guide and directory to the royalty of Neopia. 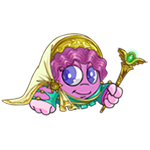 You're here either because you're seeking to be a member of the prestigious royal party, you have already begun your royal expedition and are looking for a few pointers or, you're just looking to admire all the greatness that royalty has to offer. So first of all, let's make sure everybody is on the same page. 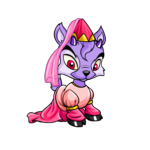 A royal neopet is a neopet that has grown to royal potential and is thus painted to suit their royal aspirations. 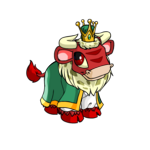 Contrary to custom, neopets are never born into royalty. 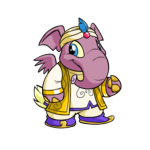 Royal neopets are those that earn their royal color by being determined, hard-working, respectable neopians. When a pet demonstrates such wonderful traits, it is their owners duty to present them with a paintbrush like this. 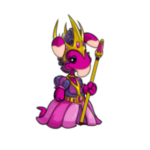 Once the neopet is painted, they are openly welcome into the Association of Neopian Royals (ANR), a branch of the Royalty Revolution open to all neopian royals or those that are soon-to-be. 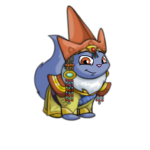 When painted royal, your pet is then presented with constant respect from their peers and a reputation that must be maintained in order to sustain their respect. Royalty is not just a color, it's a lifestyle. 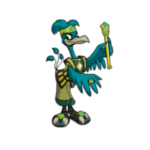 This neosite is meant to be a helpful guide and directory for those seeking to be or already a part of royalty. Enjoy! 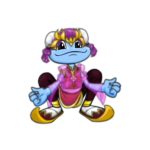 Avatars are a great way to show off to other people what you're interested in. 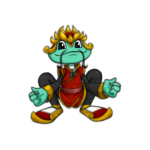 If you're seeking a way to represent your royal interests, why not try out one of these royal avatars? Visit the lookup of a male Royal Acara such as this guy. 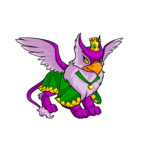 or If you are a male you'll be able to receive the avatar with the female royal korbat by viewing the lookup of a male royal korbat like Arrenius. 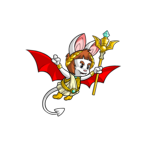 If you are a female you'll be able to receive the avatar with the male royal korbat by viewing the lookup of a female royal korbat like LittleAriadne. 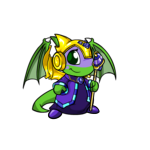 Note, you will only be able to get ONE of these avatars, not both. 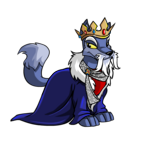 You can get this avatar by visiting the page of a royal bruce. 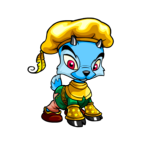 In order to get this avatar, you must visit the userlookup of a male royal usul. 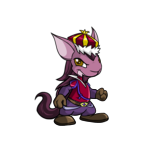 To get this avatar you must get an A+ when talking to King Hagan. 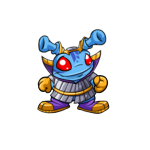 Note, this is a random avatar and one of those you'll probably need to try for everyday. 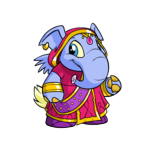 In addition to a nifty royal avatar, another fantastic way to represent your royal obsession is to employ a royal shopkeeper in your very own shop or gallery! 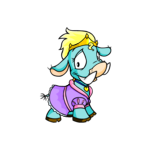 The following is a list of the currently available shopkeepers dressed in royal clothing. 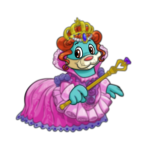 First of all, we know that are really no royal petpets in neopia, unfortunately. 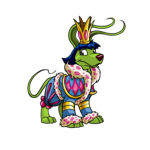 BUT, I've created a small collection of royal petpets that could be. I made all of these on my own and I'd appreciate it if you ever display them anywhere give me credit. If you don't, I will be forced to report you for stealing my work. 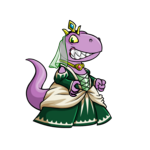 Neopets provides a nice selection of fun royal images that you can use for a variety of things. And, here they are! Drag and drop to see a larger version. History will show that royalty is a group that rarely goes unnoticed. Throughout our time, there have been a few royal neopians that have managed to gain power, respect and popularity beyond imagination. 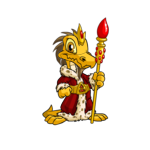 Known for his inevitable grumpy mood and lack of the ability to be cheered up, King Skarl has grown to be a very famous neopian king with thousands of visitors a day attempting to improve his mood. 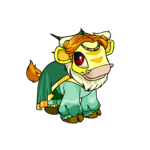 The wisest of all neopian Kings, King Hagan, brother of King Skarl, has managed to instill great knowledge into many neopian generations while simultaneously providing a beautiful kingdom for all the inhabitants of Brightvale. 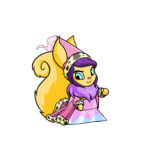 Respected by all, Queen Fyora is the most powerful of all Faeries if not of all neopians with her amazing ability to remain kind, caring and generous while maintaining her dangerous reputation against the wrong-doers of neopia. Wishing only the best for the New Maraqua, King Kelpbeard has dealt with the loss of a kingdom and the creation of a new while still managing to stay a strong and caring leader for his citizens. 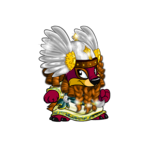 Now only a brave spirit living on through his shrine, King Coltzan was once one of the most noble leaders imaginable who governed the Lost Desert for many years with generosity and courage. This is a fantastic collection of art made especially for the Royal Revolution. A special thanks to all of those who have contributed! If you would like to add something please neomail me here and I will gladly add your work to this section. These are some fantastic awards that have been bestowed upon the Royal Revolution as well as the review ratings given! Drag the images to your address bar to see full size. Hi Winslow! 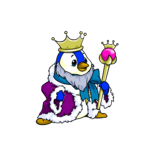 I'd like to add my royal pet to Royal Revolution. 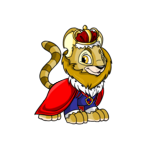 Pet Name: Pet Species: How you found Royal Rev: Thanks! 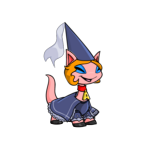 If you already belong to the ANR and are seeking a way to display your membership, you can add one of these badges to your neopet's userlookup. 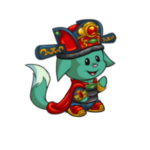 This is the Association of Neopian Royals directory. 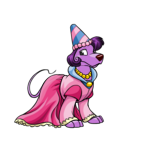 All pets in this directory are UC or Converted, fully clothed royal pets. If you notice anything wrong with this list (incomplete links, non-royal pets, etc.) please neomail me and tell me where so I can fix it. Please do not send anything to these owners asking to adopt or trade for their pets unless the owner displays somewhere that the pet is up for adoption. This directory is NOT an adoption agency. 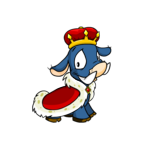 It is simply a way for royal owners to show off their royal pets and a resource for those who wish to get in touch with fellow royal owners to have a way to do so. Any sort of harassment towards these pets' owners will result in reporting which may possibly lead to being frozen. On to the directory! Enjoy! Return to the top of the page? To the top of the directory?